Nagarjunakonda (meaning Nagarjuna Hill) is a historical Buddhist town, now an island located near Nagarjuna Sagar in Nalgonda district, Andhra Pradesh, India. It is 160 km west side of another important historic site Amaravathi. It is one of India's richest Buddhist sites, known in the ancient times as Sri Parvata. It now lies almost entirely under the Nagarjunasagar Dam. It is named after Nagarjuna, a southern Indian master of Mahayana Buddhism who lived in the 2nd century AD, who is believed to have been responsible for the Buddhist activity in the area. The site was once the location of many Buddhist universities and monasteries, attracting students from as far as China, Gandhara, Bengal and Sri Lanka. The Buddhist archaeological sites there were submerged, and had to later be dug up and transferred to higher land on the hill, which had become an island. The Nagarjunasagar Dam is the tallest masonry dam in the world. The excavated remains of the Buddhist civilisation were reconstructed and preserved at a museum on the island situated in the midst of the man-made Nagarjunasagar Lake. The site has a 14th-century fort, medieval temples and a museum constructed like a Buddhist vihara. The museum houses a collection of relics of Buddhist culture and art. These include a small tooth and an ear-ring believed to be that of Gautama Buddha. The main stupa of Nagarjunakonda named Mahachaitya is believed to contain the sacred relics of the Buddha. A partly ruined monolithic statue of the Buddha is the main attraction at the museum. It also houses historic finds in the form of tools from Paleolithic and Neolithic times, as well as friezes, coins and jewellery. 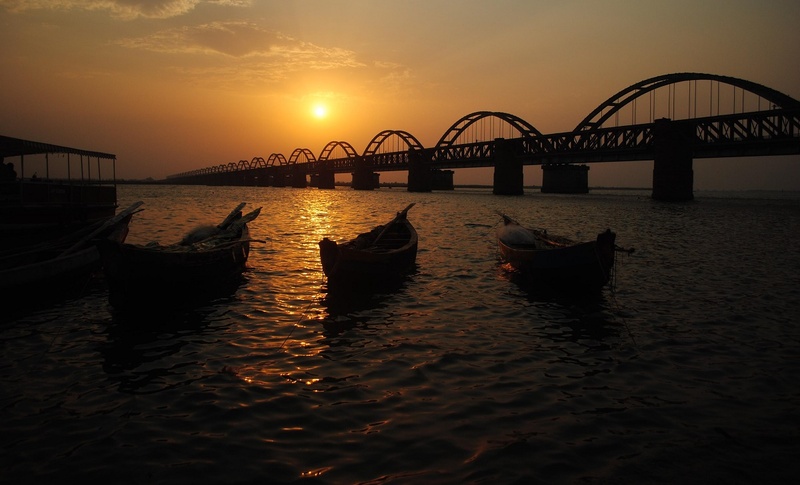 Located in Guntur district it is not accessible on the State Highway. The nearest train station is at Macherla, 29 km away. It is connected by a ferry to the mainland. The area is also known for panoramic views of the valley from a viewing area near the dam, and is also the site of natural waterfalls, Ethipothala Falls which cascade down 22 m into a blue lagoon that is also a breeding centre for crocodiles. The nearby Srisailam wildlife sanctuary, a Project Tiger reserve and refuge for diverse reptiles, birds and animals. Srisailam, which sits on the shore of Krishna in the Nallamala Hills is a site of immense historical and religious significance, including a Shiva temple that is one of the 12 sacred Jyotirlingas.